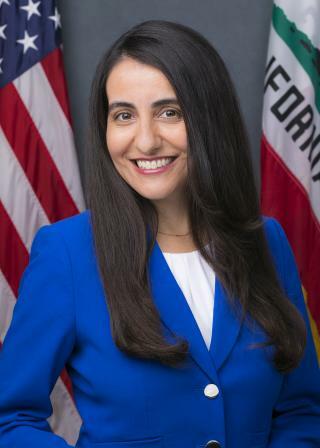 Our guest this week will be Assemblymember Monique Limón, and topics will include public banking, education and some great “didyaknows”. Ms. Limón was elected to the California Assembly in November 2016 and represents the 37th district that includes over half of the County of Santa Barbara, as well as nearly a quarter of the County of Ventura. Born and raised in the 37th district, Monique has worked to serve her community as an educator, leader, and an advocate for causes advancing the quality of life in her community. A UC Berkeley graduate with a Masters degree from Columbia University, Monique served two terms on the Santa Barbara Unified School Board and as Assistant Director for the McNair Scholars Program at the University of California, Santa Barbara prior to serving in the Assembly. Monique also served as Commissioner on the Santa Barbara County Commission for Women and helped create connections between private and public resources with women in the community. Monique has strong roots in the 37th district as she has connections to small business owners and important leaders in the community. Tune in to hear the conversation!